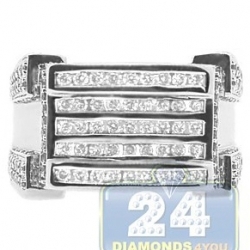 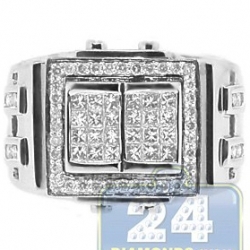 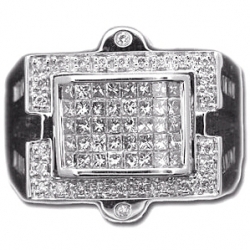 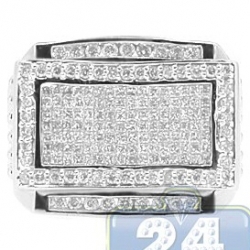 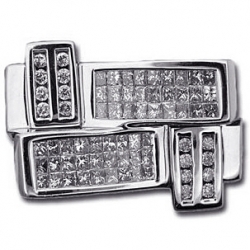 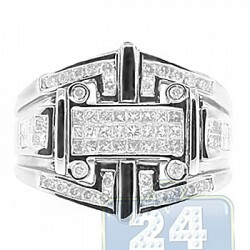 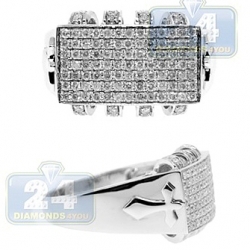 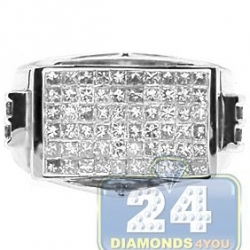 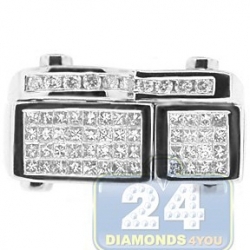 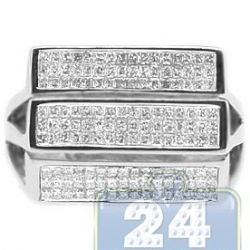 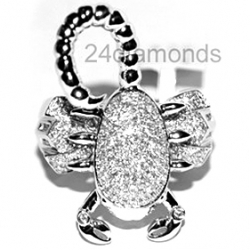 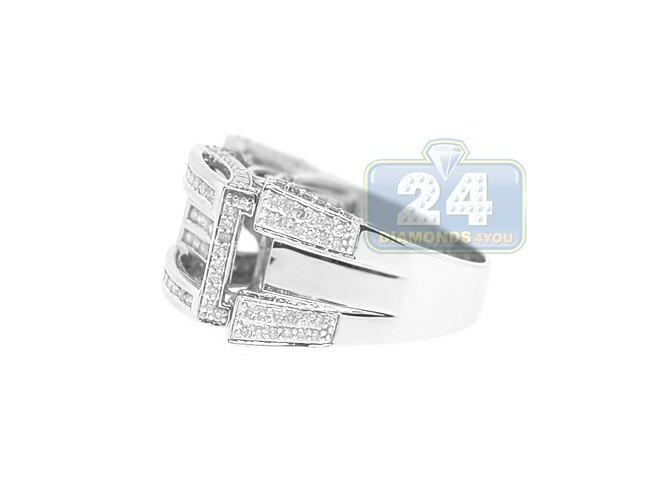 Any men will look and feel special wearing this 14k white gold jewelry piece! 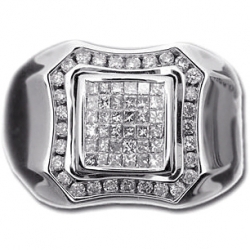 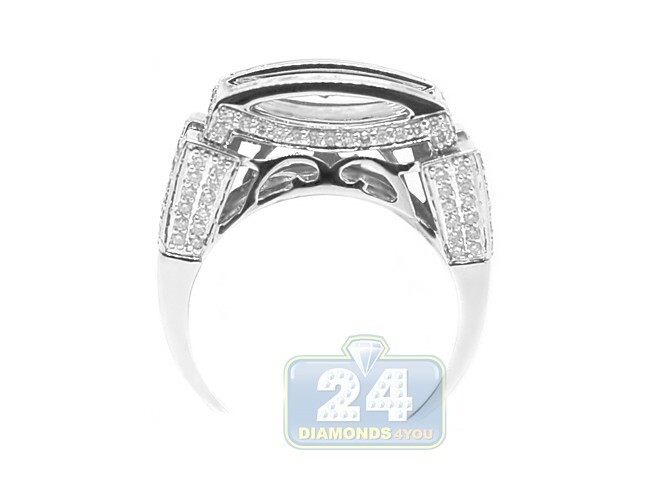 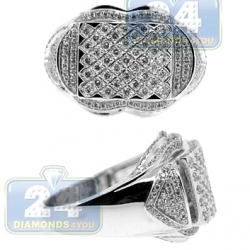 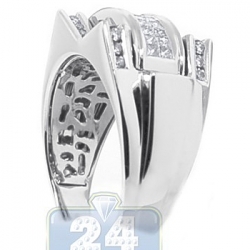 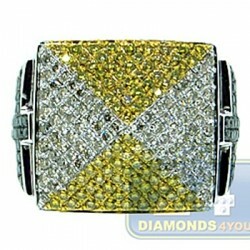 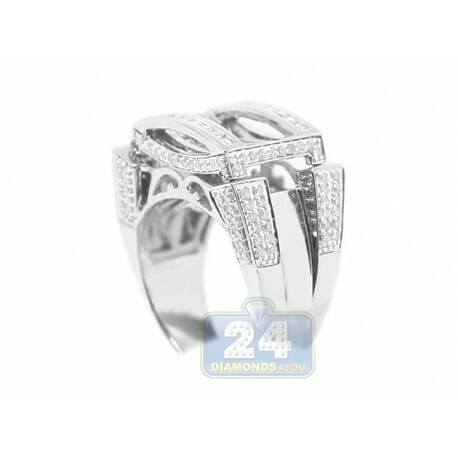 The sparkle of impressively looking round cut diamonds totaling 1.76 carat decorates this distinctive ring. 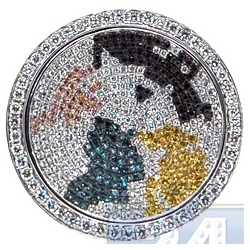 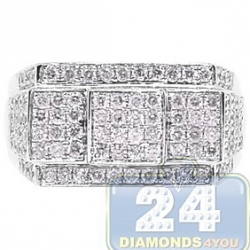 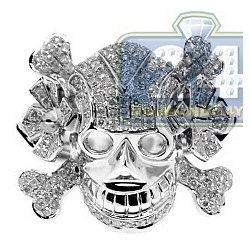 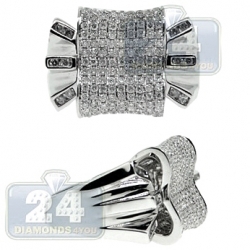 Its design features five rows of icy white diamonds in the center and chains of gorgeous brilliants on all sides. 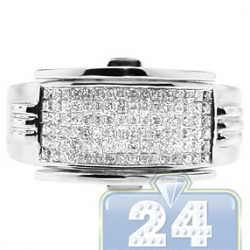 A durable setting is masterly handmade of 14k white gold with high polished finish. 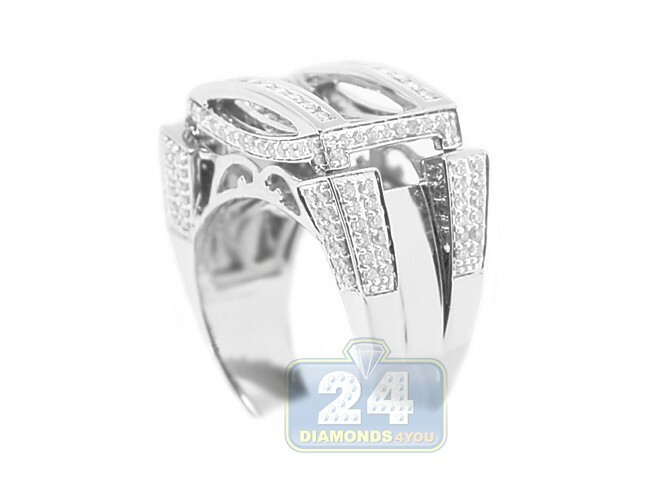 What an outstanding signet that makes the impressive addition to any wardrobe of today's man!